9. Robin Thicke impresses the ladies with his long, thick, gold... microphone! 9. 9. 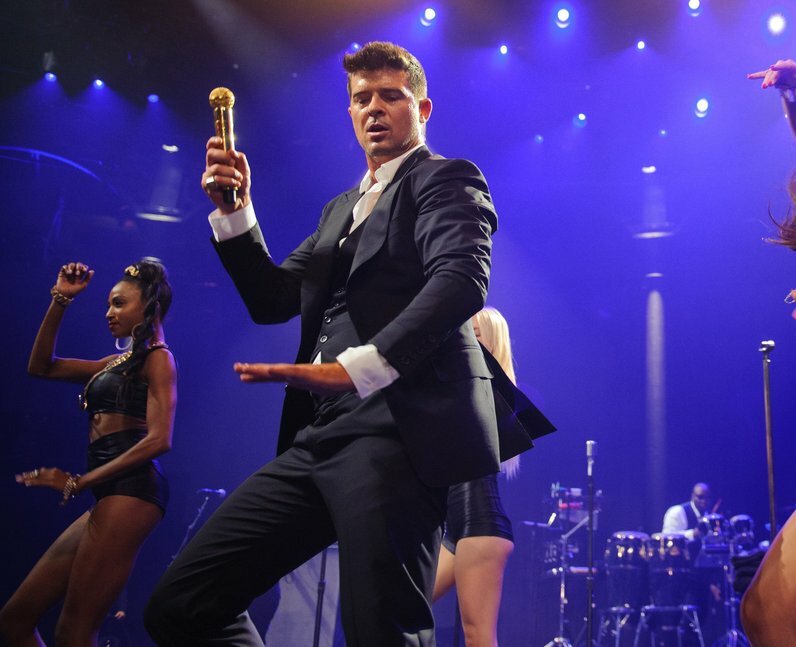 Robin Thicke impresses the ladies with his long, thick, gold... microphone!